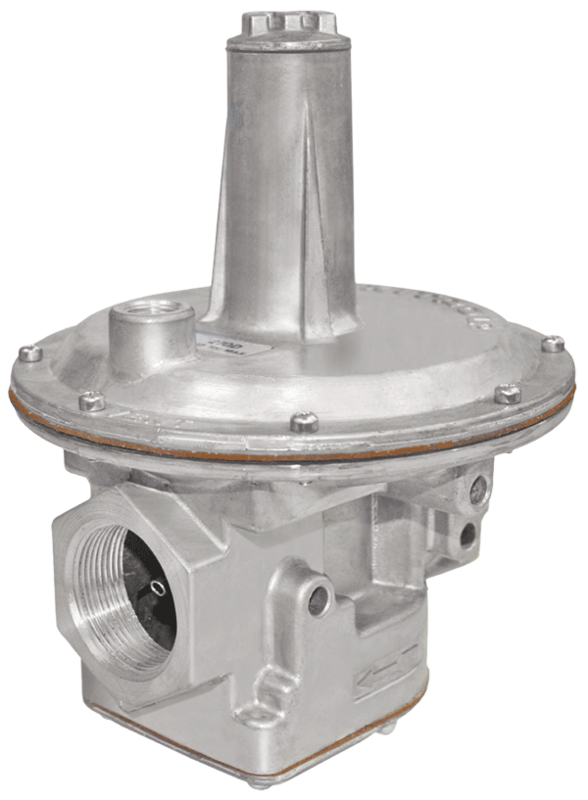 The RS Series’ double diaphragm balanced valve design makes it possible to maintain steady outlet pressure control with widely varying inlet pressures. 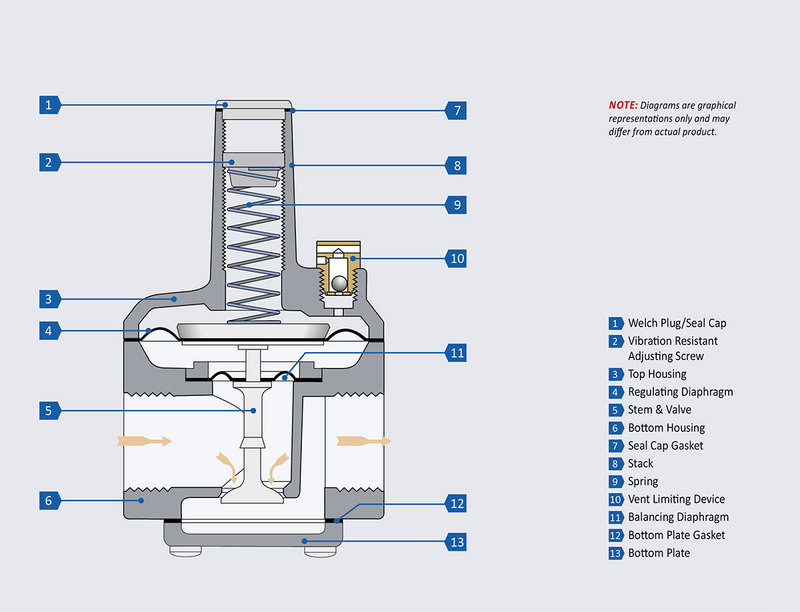 The regulator is physi­cally small yet has excep­tional capacity charac­ter­istics. RS Series regulators are intended for use with both main burner and pilot load appli­ca­tions. They are ideally suited for use with infrared heaters and pilot lines on large indus­trial heaters and boilers. Mounting: Suitable for multi‐positional mounting. If ball check vent limiting device is installed, mount in an upright position only. Other than upright position will result in a slight difference in outlet pressure. Install with gas flowing as indicated by the arrow on bottom casting. The 210 Series is a lockup charac­ter­istic regulator. 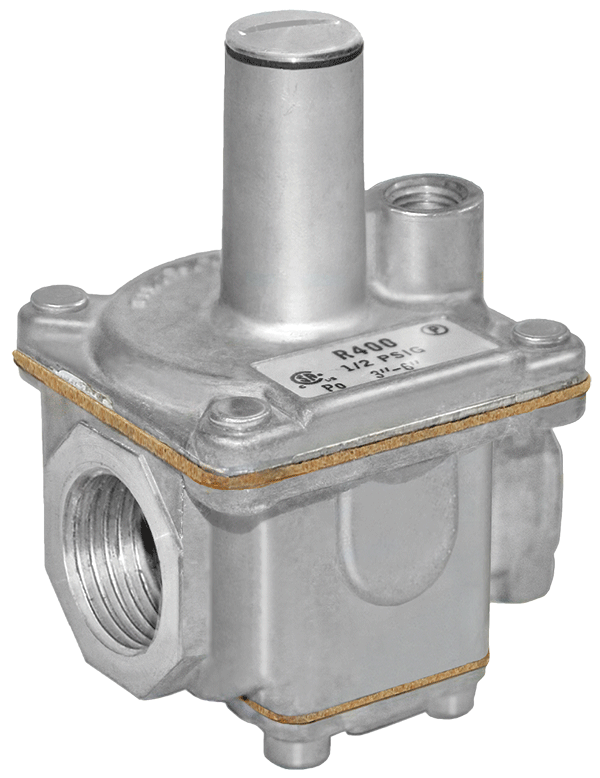 Its balanced valve design makes it possible to maintain steady outlet pressure control with widely varying inlet pressures. The regulator has an integrated dampening mechanism in the breather outlet and the sensing tube to improve regulating stability and reduce hunting tendencies. 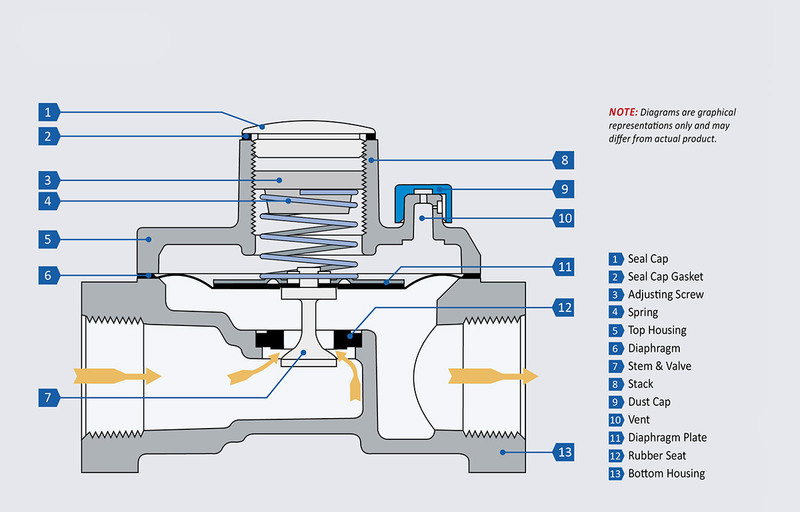 The 210 Series provides precise regulation over a wide range of pressures and flow rates. 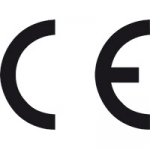 Applications include gas‐fired boilers, steam gener­ators, indus­trial furnaces, and ovens. Mounting: Mount in an upright position only. Other than upright position will result in a slight differ­encein outlet pressure. Install with gas flowing as indicated by the arrow on bottom casting.